In the month of October, we from the Seeing Things group at Glasgow Women’s Library are really excited to be celebrating Black History Month. In it’s 30th anniversary this year, Black History Month was introduced to recognise, appreciate and celebrate the diverse communities in Britain. It is a month dedicated to educating others and ourselves about Black history, heritage and legacy, as well as the ongoing struggles for equality and justice. Below are some trips we have planned in the run-up to Black History Month and throughout October, that focus specifically on fantastic work by BME women, or on significant events in our recent history. 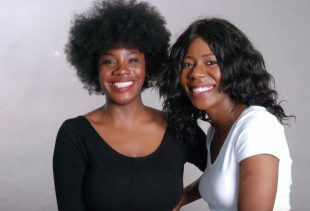 Adegoke and Uviebinené are best friends who wrote Slay In Your Lane as a response to the lack of books addressing the unique challenges black women face in all areas of their lives. The book explores the ways that being black and a woman affects education, work, dating, representation, money, and health, and offers advice and encouragement to other black women on how to navigate these. Following a range of sold-out events across the UK you can join the brilliant Yomi Adegoke and Elizabeth Uviebinené in conversation with Tomiwa Folorunso at Glasgow Women’s Library. More info here. Maya Chowdhry is a poet, artist and activist who will be interviewed and sharing work at Glasgow University. With all her work, whether it is site-specific installations, art that combines photography, video and animation, theatre performances or poetry, Maya Chowdhry tries to empower and change the world. She has done art projects about food poverty, the impact of climate change on the Indian subcontinent, refugees and colonialism. She has also published several collections of poetry and her writing has appeared in magazines. More info here. In 1965, the Race Relations Act was put in place, which made racial discrimination a crime. The UK Parliament Artist in Residence, Scarlett Crawford, held workshops with community groups in Glasgow to find out how this new law impacted their lives. 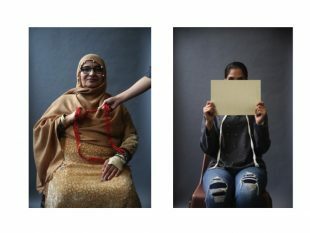 Local women shared their stories through audio recording, interviews and photographs created together with the artist. At the launch, we will be able to see the exhibition, and meet the artist and some of the women involved. More info here. Henrietta Lacks was born in 1920 in Roanoke, Virginia. After she died in the 1950s, cells were taken from her body without her giving consent, to form the HeLa cell line. This has been used extensively in medical research since, and still impacts the scientific world today. This workshop focuses on the ethical issues around the use of Henrietta Lacks’ DNA, and allows you to make your own DNA bracelet. More information about this trip will be on the website soon, for now look here. If you would like to come along on any of these trips, please email emily.ilett@womenslibrary.org.uk or call the library on 0141 550 2267 to book your place. We have plenty more trips planned to all sorts of different events over the next few months, so if you can’t make it to any of these, there are loads more options in future! You can sign up to our mailing list, to get invitations to events in your inbox, by emailing emily.ilett@womenslibrary.org.ukas well. 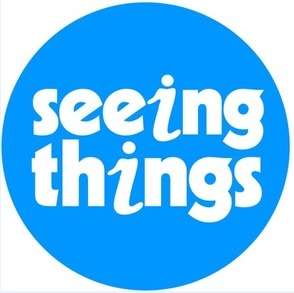 Seeing Things is a group of women that meet up to see art, performances and cultural events put on by women across Glasgow and beyond. We think it’s more fun to go to see things together, and we usually have a cup of tea or coffee afterwards. Our trips are always free, and everyone is welcome to come along. All our trips are inclusive of Trans and Intersex women, as well as non-binary and gender fluid people who identify in a significant way as woman or female. This entry was posted in Seeing Things and tagged with Black History Month, Culture, exhibition, First Waves, hela cells, maya chowdhry, science centre, Seeing Things, Slay In Your Lane, Superseded Events category, women.